Rochester, New York (September 26, 2016) – Nothnagle Realtors, a Howard Hanna company, is excited to announce its new partnership with Trulia, Zillow and Realtor.com, offering the most powerful web presence to those seeking to buy or sell a home in the area. Beginning this week, all of Nothnagle’s listings will be enhanced through this partnership, improving the real estate search experience for buyers and sellers in New York. Nothnagle home listings will appear as featured listings on all three websites, which helps to both protect and strengthen the power of the brand by ensuring that agents can answer leads on their own listings. Sales associates will also have strong brand recognition for their listings with agent contact information, photo, and a link to the property on the Nothnagle website. Appearing on these three additional websites means that Nothnagle listings will now be included in some of the top real estate site searches. Both buyers and sellers will benefit from accurate listing information, high quality photos, and maximum online exposure. Buyers will more easily be able to determine the listing agent for a home, as other companies will not appear with Nothnagle listings. Sellers will receive free marketing exposure for their listings on some of the most-visited real estate sites nationally in addition to the already highly trafficked Nothnagle.com. 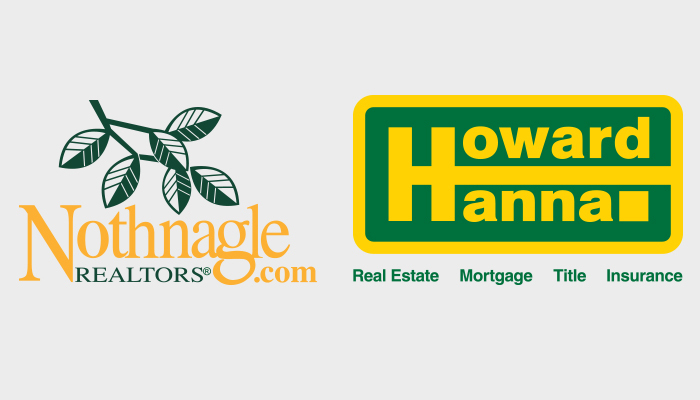 Partnering with Trulia, Zillow and Realtor.com is the next step in the successful integration of Howard Hanna and Nothnagle, and comes on the heels of the launch of Howard Hanna’s 100% Money Back Guarantee. Hoby Hanna looks forward to continued expansion and bringing exclusive Hanna programs into this market.